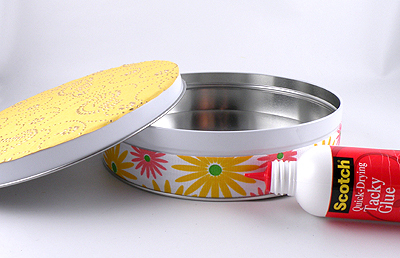 A tin beautifully decorated with flowers, pretty paper and ribbon adds interest and dimension to a plain metal tin. This reusable container is a great way to hold a gift or food items. Using Scotch® Gift Wrapping Tape allows the flower stems to lift off the lid as if they were growing in a garden. This is my latest design I created for Scotch Brand. 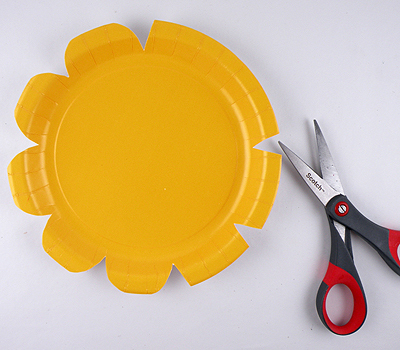 Using Scotch® Precision Scissors, cut V shapes in even intervals around the paper plate. Round the edges to create petals so it looks like a flower. Cut the floral scrapbooking paper into a circle shape the size to fit inside the flower plate and attach with Scotch® Craft Glue Stick. Cut a piece of the textured scrapbooking paper the size to fit the top of the lid. Attach with Scotch® Quick Dry Tacky Glue. Glue the floral ribbon around the base of the tin, overlapping the ends. 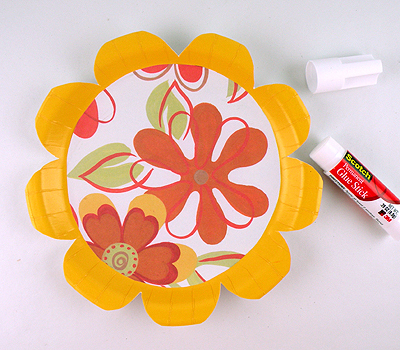 Glue the flower plate to the top of the lid with Scotch® Quick-Dry Tacky Glue. Let dry. Glue the satin ribbon around the sides of the lid, overlapping the ends. Remove two of the flowers from the stems and cut the other two flowers stems different lengths — one 2-1/2” and the other 3-1/2”. Bend the ends of each of two flower stems at an angle about 1” from the end. Apply Scotch® Quick-Dry Tacky Glue to bottom of the bent ends of the stem. 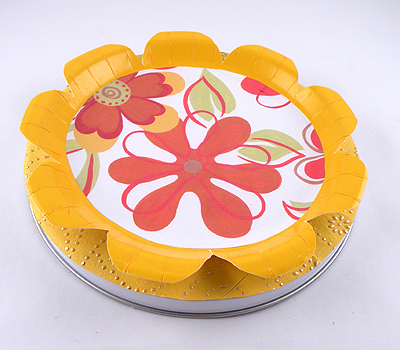 Attach the bent stem ends to the lid and secure with strips of Scotch® GiftWrap Tape. Glue the remaining two flowers around the flower stems to fill in the holes.